The problem of discrimination against Polish minority in Lithuania is being talked about more and more often on different levels, and in different environments. 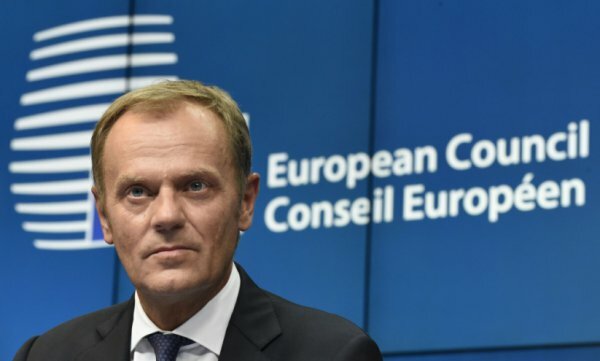 The President of the European Council Donald Tusk has recently expressed an interest in the problem of the discrimination against Poles in Lithuania. The President of EU assigned the Commissioner for Education, Culture, Youth and Sport Tiboras Navracsics to examine the situation of Poles in Lithuania. It became possible thanks to a letter sent in May this year by 7 MPs from AWPL in Lithuanian Seimas to the President of the European Council Donald Tusk about the aggravating situation of national minorities in Lithuania. “After Lithuania joined the European Union in 2004, the situation of national minorities, including the Polish one, paradoxically aggravated. It is not only about anti-Polish sentiment in media or in the statements of some politicians, but also about legislative limitations of national minorities’ rights. Namely, in 2010 there was a huge regress in this field as the National Minorities Act has been cancelled, and there haven’t been a new one adopted thus far” – the MPs wrote. Another aspect of life in which, according to the MPs, the country creates restriction measures against minorities is education. “Another element of restriction measures against national minorities is the field of education. In 2011, despite multiple protests and against the will of 60 000 of inhabitants who put their signatures, an amendment of the Law on Education was adopted, and it strongly limited the rights of national minorities in the area of education in mother tongues. Apart from unresolved issues such as not printing course books in mother tongues or lowering the funding of equipment for students from schools for national minorities, unification of Lithuanian language exam was a really heavy blow. Such a discriminating amendment was adopted in spite of the fact that students attending schools for national minorities had 800 hours less of Lithuanian language classes than their peers from Lithuanian school, which resulted in students from Polish schools getting significantly lower grades on their Lithuanian language exam during the Matura exams. Because of the flagrant narrowing of national minorities’ rights, during the last ten years several dozen Polish schools have been either closed down or downgraded” – we may read in the letter addressed to D. Tusk. In the letter, the MPs stressed that, in connection with the so-called reorganisation of schools being currently at risk, there is about a dozen Polish educational institutions which provide education for grades 1 to 12. The MPs pointed out that the few Lithuanian schools functioning in Poland are facing no obstacles, while Polish schools in Lithuania, which teach a much bigger number of students, are at risk of being closed down. The MPs appealed to the former Prime Minister of Poland to draw attention to the actions of Lithuania with regard to the Polish minority. Considering this fact, we politely request that you draw attention to Lithuania’s policy concerning Polish education which, doubtlessly, is of a discriminatory nature as it violates national minorities’ rights by not taking into consideration the specifically stated needs of the community. We also request that you initiate the analysis of situation in order to its democratic stabilisation” – wrote the MPs from AWPL: Rita Tamaszuniene, Wanda Krawczonok, Jarosław Narkiewicz, Michał Mackiewicz, Józef Kwiatkowski, Leonard Talmont, and Zbigniew Jedziński.